Shoulder arthroscopy and decompression is used to treat shoulder impingement, which occurs when the rotator cuff muscles and tendons are squeezed by the surrounding shoulder structures. This surgery decompresses the rotator cuff tendons so the patient can have normal mobility and pain relief. 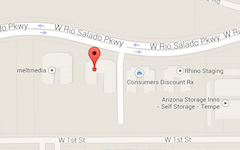 the orthopedic doctor in Phoenix. Have someone available who will drive you home from the medical center. Do not take any nonsteroidal anti-inflammatory agents or aspirin one week before the procedure. Because anesthesia is required, you are not permitted to eat or drink after midnight the night before the procedure. When you arrive at the surgical center, a nurse will go over the risks and benefits of the surgery and have you sign an informed consent paper. 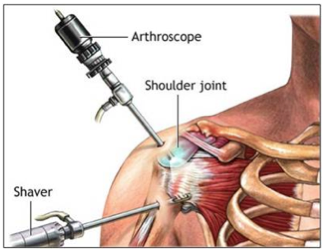 Arthroscopic subacromial decompression requires two small incisions (1/2 centimeter). The arthroscope is inserted into the shoulder joint through the skin and deltoid muscle. The scope is used to visualize the shoulder structures, and the surgeon is looking for tears in muscles, ligaments, and tendons. When loose bodies are found, they are removed using scissors, shavers, and other surgical instruments. Swollen bursa tissue can also be removed using the instruments. If a portion of the acromion bone is shaved away to open up area and take pressure off the rotator cuff. With the decompression technique, the entire joint, biceps tendon, and rotator cuff tendons can be visualized. The surgeon smooths off any spurs that may be causing impingement and/or inflammation. You will be monitored for 30-60 minutes in the recovery room. Our nurses will ensure that you have medications for pain relief, and you will receive a prescription to use at home. Your arm will be placed in a splint and sling, and you must rest for the remainder of the day. How long is the recovery period following arthroscopic shoulder surgery? After the decompression procedure, you may resume light activities after a few days. Patients usually recover completely and are able to return to normal activities within 2-4 weeks following the procedure. Shoulder strengthening exercises begin after 3-6 weeks, and most patients see maximum improvement after 3-6 months. After shoulder surgery, a therapist will show you how to perform exercises to prevent stiffness and swelling. You must move your elbow, hands, and fingers while the shoulder is healing, and should avoid lifting objects that may strain muscles during the healing process. You will be monitored in a recovery area for 30-60 minutes. Pain medications are given to keep you comfortable. We recommend that you use ice to ease the pain, applying it for 20-minute intervals several times each day. You have to wear a sling for 48 hours after the procedure, and can perform activities of daily living after the sling is discontinued. You must avoid overhead activities until cleared by the doctor. In addition, you may shower after 48 hours. What is the success rate for subacromial decompression surgery? This arthroscopic procedure is a keyhole surgery, commonly performed on patients with impingement syndrome who have failed on conservative measures (physical therapy and medications). The success rate for the surgery is approximately 80%, and it can take 6-12 months for full effectiveness to occur. In Phoenix, Dr. Farber at Phoenix Shoulder and Knee is the top specialist for all of your shoulder issues. He is Board Certified, Fellowship Trained, and an expert in minimally invasive shoulder treatments. Call (480) 219-3342 for more information and scheduling today!